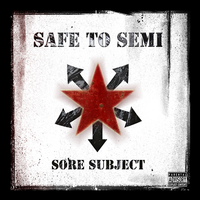 Sore Subject was founded in 1997 by guitarists Keith Meinerts and Greg Laurance, who are also both singer/songwriters. They were soon joined by bassist Joe Freye and later Joey Steel. All four members of the band have been playing music for the last 12 years and have been in rock, metal, and punk bands including Sore Subject, Six Angry Strings, and Sideshow.